Are you planning to purchase a West Michigan home sometime soon? Before you sign on the dotted line and assume ownership, allow West Michigan Home Inspectors LLC to perform a full home inspection for you. During an inspection, our quality service home inspector will go through the property from top to bottom to determine what is in good condition, what may need to be repaired and what has the potential to be a safety hazard for you and your family. General home inspections help people to avoid unexpected surprises and repairs upon move-in. At West Michigan Home Inspectors LLC, we’re capable of providing our clients with complete peace of mind through our full home inspection services. From exterior aspects, such as the condition of the roof, gutters and downspouts, to inspecting interior spaces, like the basement and foundation to identify potential water penetration points, we’ll have you covered. We also inspect major components within a home that may not be physical red flags, such as the HVAC system, water heater, electrical panel, and more. Garage doors, safety sensors and more, depending on the property. West Michigan Home Inspections LLC is also certified in performing radon testing services. Capable of entering a home through the surrounding soil, radon gas is colorless, odorless and highly dangerous. The best way to ensure your home is not exposed to high levels of radon is to enlist the help of an experienced home inspector who is certified in radon testing. We can test the air in your home during your general home inspection and alert you if the numbers come back at a concerning rate. When you invest in general home inspections from West Michigan Home Inspectors LLC, you’ll receive a thorough report with all our findings. Furthermore, you’ll get peace of mind. 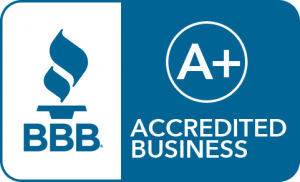 Our ASHI-certified founder, Steve Brink, will see to it that you get the most honest, professional home inspection possible, so you can make informed decisions on how to move forward with a potential home purchase. To schedule a general home inspection, radon testing, or any of our other services, contact West Michigan Home Inspectors LLC at 616-443-0946 today.